Hey Everyone! How you all doing? Did you have a nice summer? Did you get outside? Did you see the Super Blood moon on Sunday night? Any adventures? Romances? New recipes? The bulk of my summer was spent on two main things; getting myself into better shape and helping our son get his driver’s license. Happy to report we succeeded on both accounts; my son got his license and I’m feeling great! I had a few adventures — I had gone to the Museum of The Moving Image in NYC to see the Mad Men exhibit (now closed) What a joy to see many of the iconic costumes and recreations of the sets in person! 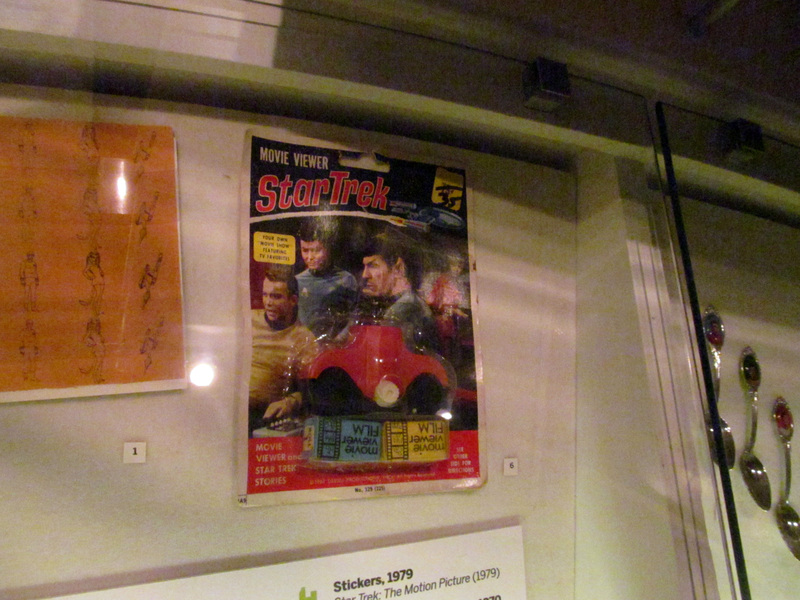 But to my delight, there was also an exhibit of classic TV and Movie memorabilia, and what should I see there but some awfully familiar Star Trek stuff from my youth! 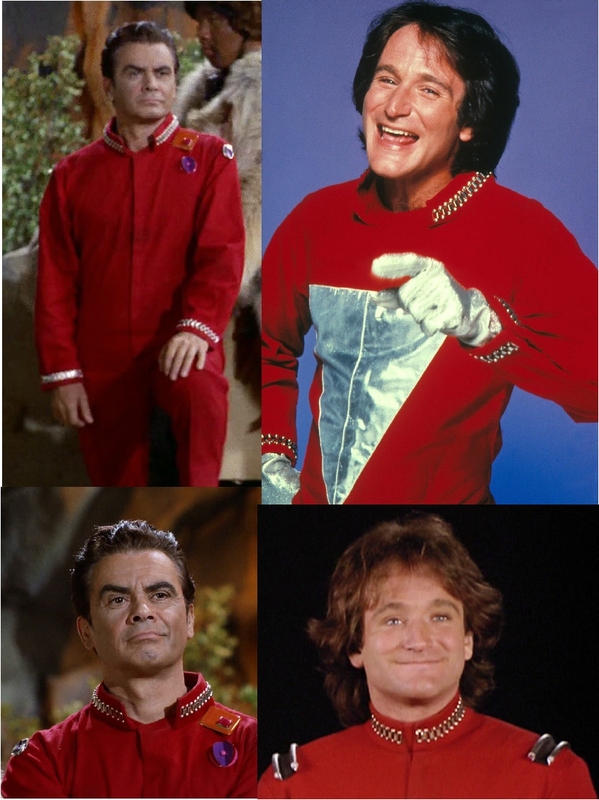 Col. Green in his original red uniform in “The Savage Curtain” and Mork in his modified version of the same costume in Mork and Mindy. 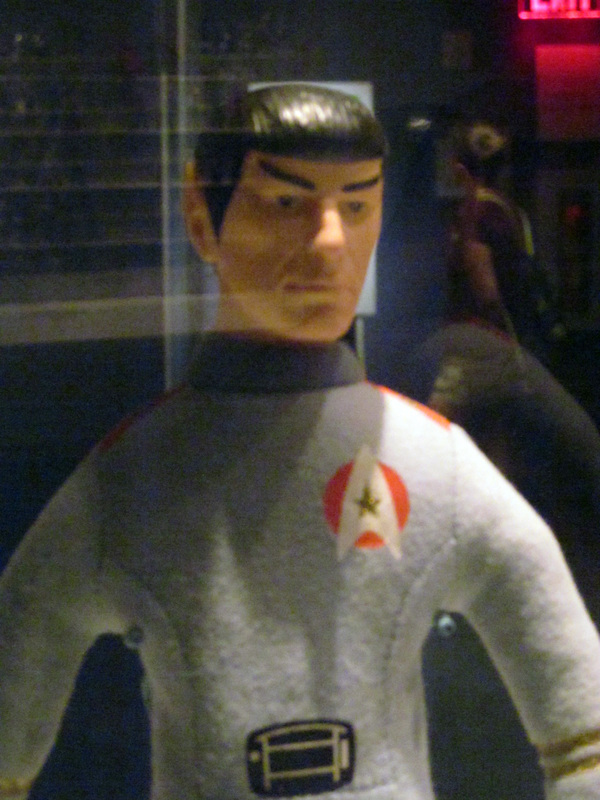 Mork’s costume removed the small accouterments from the shoulders and added the silver triangle, but kept the collar and cuff detail’ later adding the black epaulets. 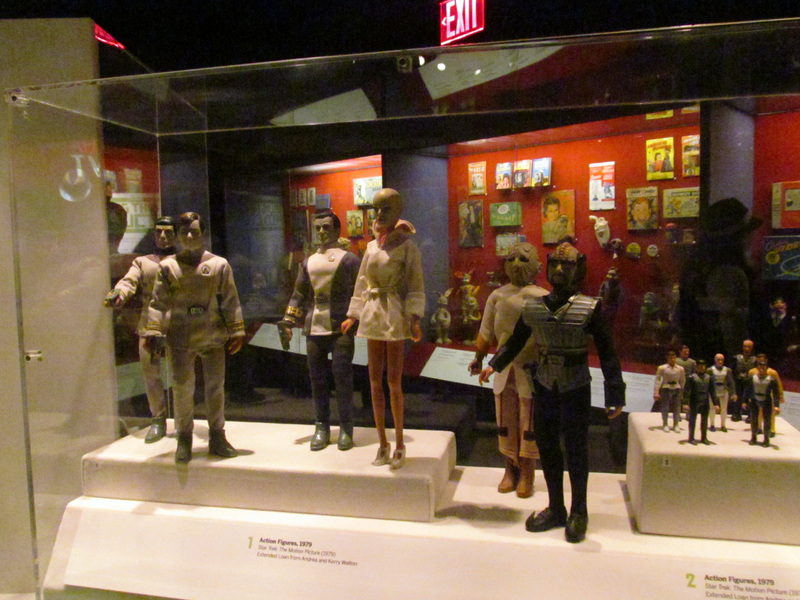 And as if seeing an actual Trek costume wasn’t enough, I found a whole mess of Trek stuff in the section “Behind the Screen” which featured lots of Trek and other baby boomer series merchandising (Jetsons, Man from UNCLE, you name it!) 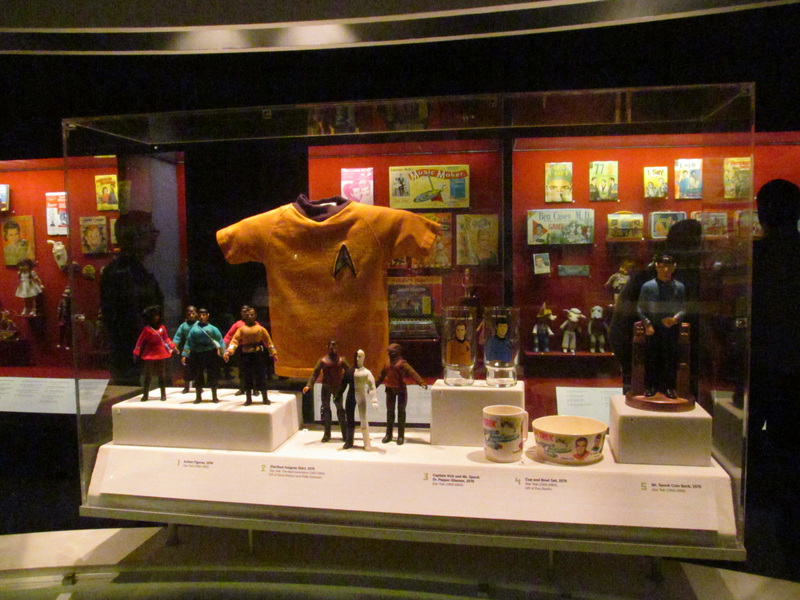 There were also many dolls from Star Trek: The Motion Picture, and even several fanzines, as well as models, puzzles and toys. 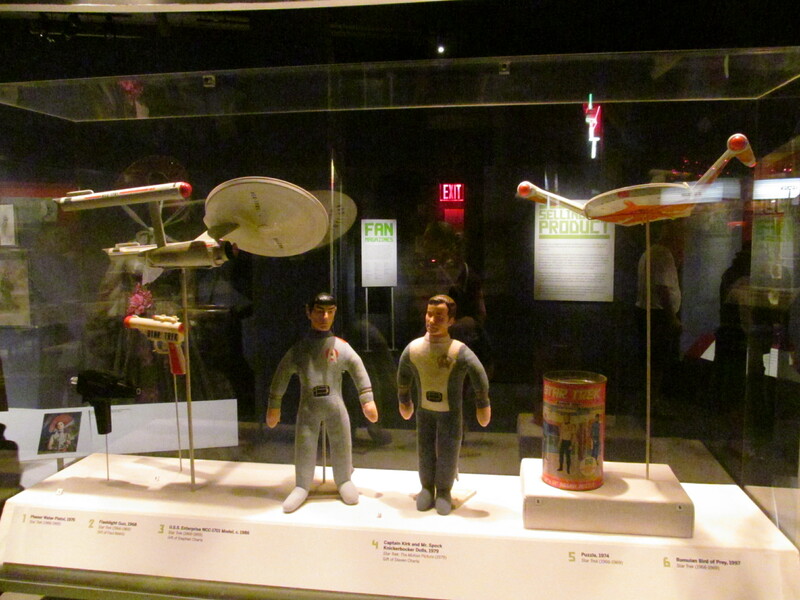 I admit, seeing some of the Trek items there from the 1970’s, including a mug and a Mego Spock doll that I still actually have at home made me feel a little old! 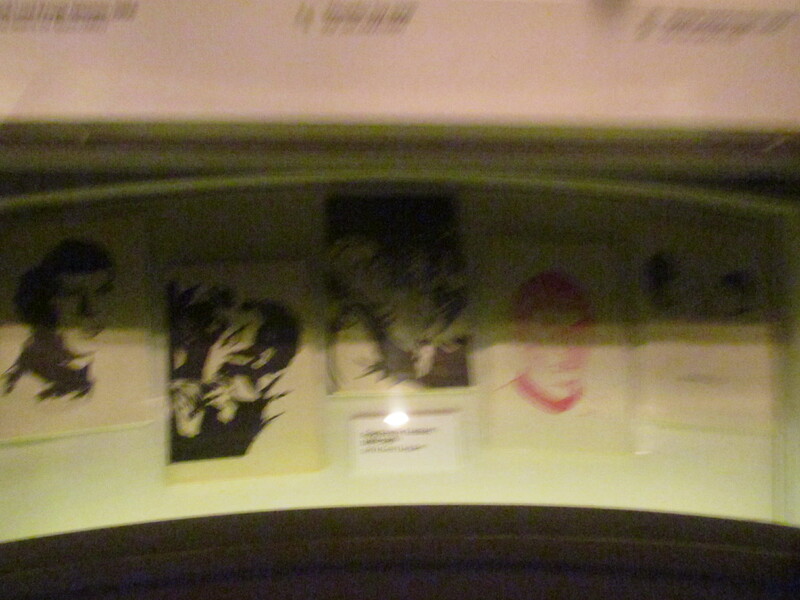 But nice to know that some of my old stuff is considered museum worthy! I gotta tell you, merchandising for Star Trek went crazy in the 1970s — and not all of it great quality — so often the uniform colors were wrong (Spock as a redshirt!) or promo photos were printed backward. But as long as it had those Trek characters on it (especially Mr. Spock) it was a slam dunk for merchandising! 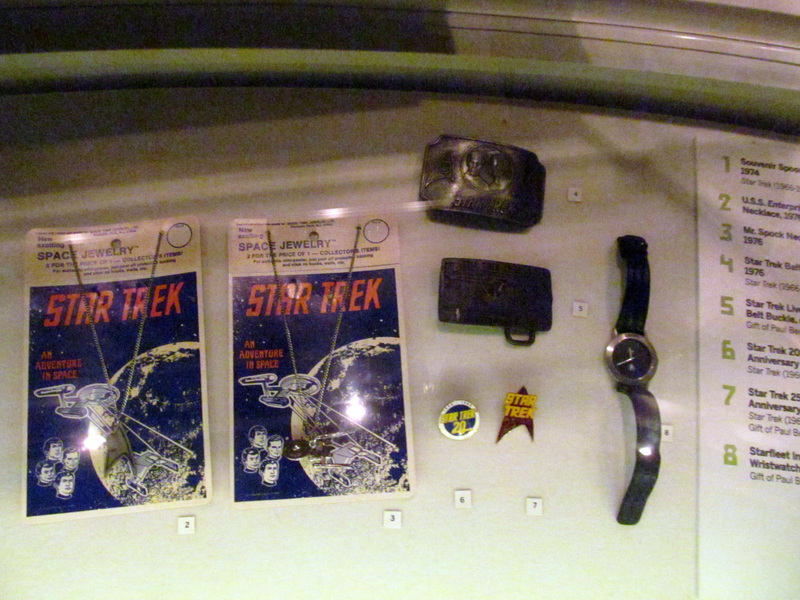 The only thing I didn’t see were Star Trek Colorforms (Remember Colorforms?) Enjoy the pics! 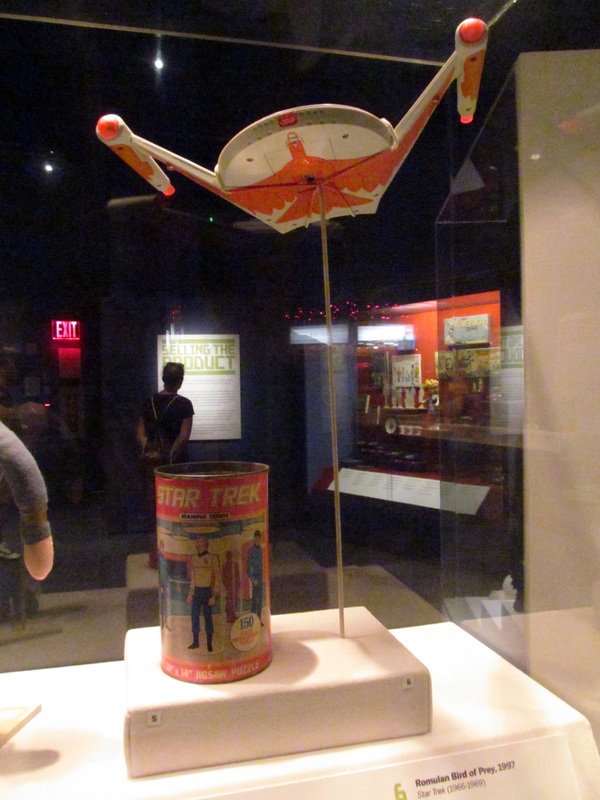 Animated Trek puzzle in a can and a really nice Romulan Bird of Prey model. 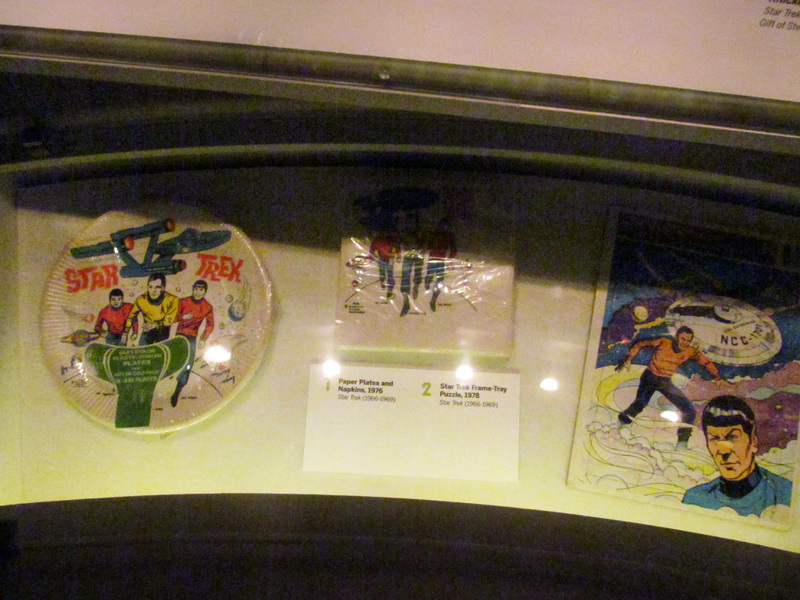 Trek party plates & napkins (Spock a Red Shirt!) and simple puzzle. So did you have a good summer too? Miss me? 😉 Next time- Seeing the Space Shuttle Enterprise!